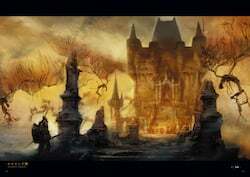 Most Pilgrim Butterflies hover passively in the air above Lothric Castle, but some fight you during the Dragonslayer Armour boss fight. Not Optional: Must be defeated to progress to the Grand Archives. 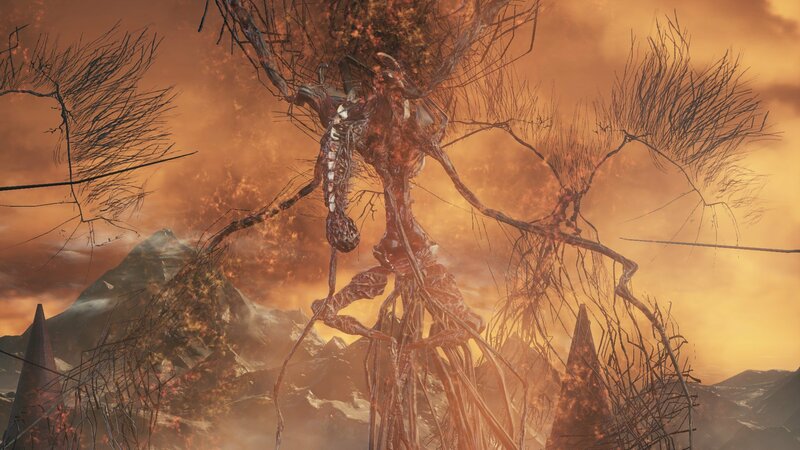 You can summon Eygon of Carim to help you fight this enemy. Sign can be found in the building to the right of the stairway leading to the boss fog on the right side just beyond the doorway. You can summon Sirris of the Sunless Realms to help you fight this enemy. Sign can be found at the left side of the stairs leading up to boss. Casts spells, that deals Fire Damage and Dark Damage. They can be killed, but it does not affect Dragonslayer Armour, plus they die when Armour is killed. (Vigor/Luck Build) Use Strategy 1 with visual assistance from video. 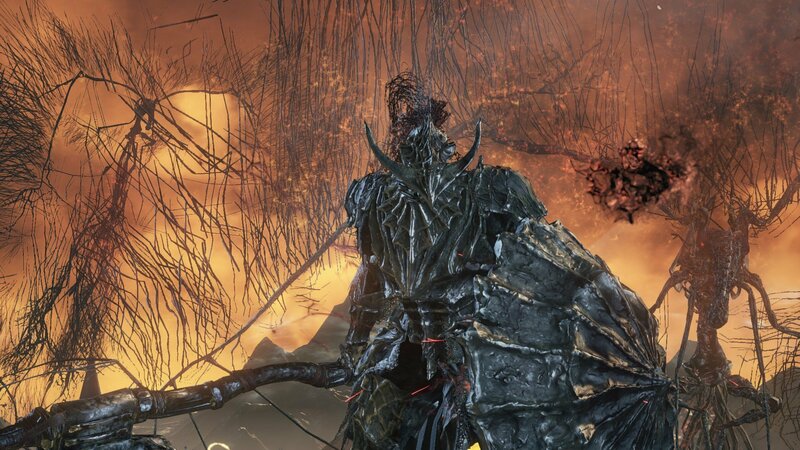 Dragonslayer Armour is a tough, but manageable boss fight. 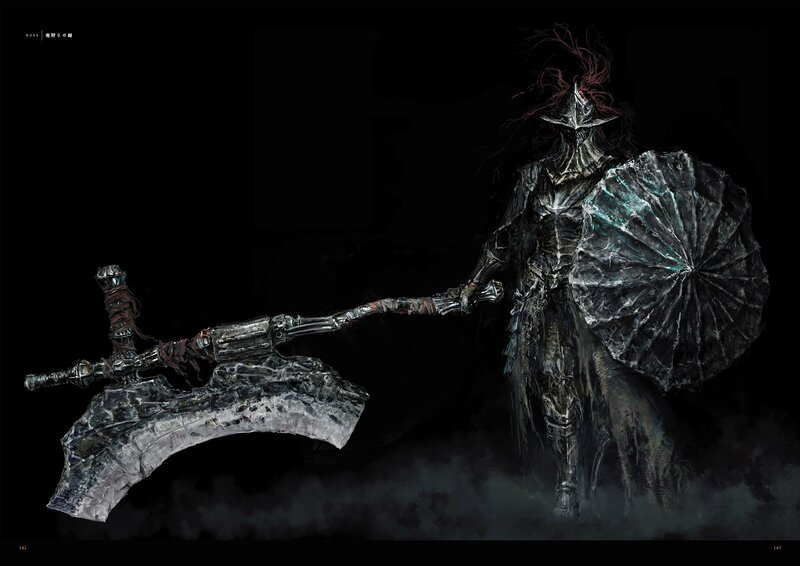 This boss is more intimidating than anything and his shield is actually more dangerous than his axe. When you first walk in approach the boss and roll through his jumping attack getting in an attack if you can. Next you will want to bait him into a 2/3 hit combo with two swings of his axe, and then hit him if he doesn't try to bash you with his shield after the second swing. Split second decisions are a big part of this fight, but won't generally get you killed if you react incorrectly. Keep trying to get that 2/3 hit combo getting in hits where you can. Sometimes he will do a 2 hit shield combo and you can dodge this as well and sneak in a hit or two. Sometimes he will hold up his axe and do a long sweeping attack. You can generally hit him a couple of times here before dodging at the last second, since the tracking on this attack is really bad and tends to miss a lot. His slam attack that lets out a ton of lightning only hits in front of him, so if you roll behind and wait for it to finish you can usually get two attacks in. His sweep attack (always does it at the start of phase 2) takes a long time to charge, and is easily dodged by rolling to his left. When you get to phase 2, projectiles will start raining down from either side of the bridge. While this might sound terrifying, it's really not that bad, and since you are rolling frequently you will generally avoid most projectiles unintentionally. Just keep your eyes open and if you start seeing them land, roll away from the boss until they stop. One last note. Sometimes you will kill the boss and the projectiles are on their way down. They still keep coming and might kill you if you just stand there or are at low health, so be sure to roll or heal immediately after killing the boss. 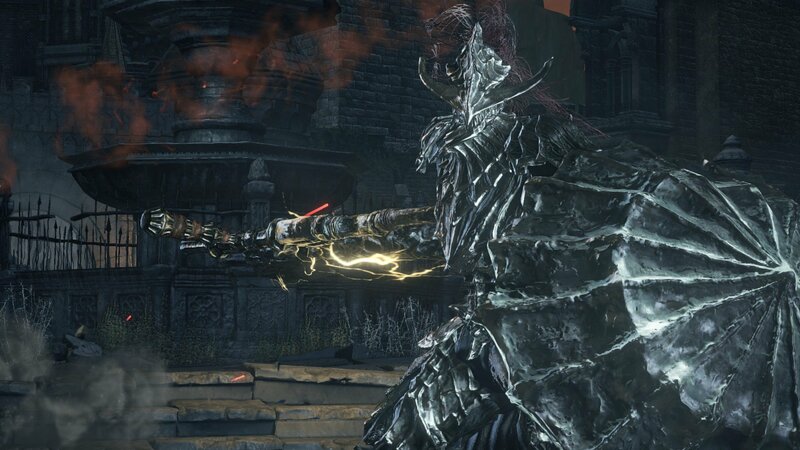 The Dragonslayer Armour can be a really tough enemy for a Sorcerer. Of course, it all depends on your build. Since you're this far into the game I'd recommend using the best staff you got. I also recommend using Great Heavy Soul Arrow since it will inflict some pretty good damage and has a fast casting time. You can also use Great Magic Shield if you prefer blocking over rolling. When the fight starts, run against him; roll away from his first attack and go behind the fountain. Start to circle around it, try and bait his attacks, roll to dodge, and cast a spell while he is trying to hit you; try to not cast any spell when he lifts the shield. Be careful with the two-handed attacks, they can kill you in a single hit. When the Butterflies start to throw fireballs at you, roll away. Keep doing that and you will eventually get the kill. Good Luck. This boss won't be too tricky for pyromancers. Since the boss is resistant to dark, use your fire spells. Chaos Bed Vestiges will take good chunks out of his health. Keeping your distance is a good strategy, and since the boss's attacks aren't too fast, you shouldn't have much difficulty in dodging once he eventually closes the distance. A dodged attack will also give you time to cast a spell, since he doesn't recover all that fast. During the phase transition, you'll have ample chance to lob spells at him, and as long as you're not in melee range, you won't have to worry about being hit. Don't waste your spells when he is blocking, and try to bait an attack or wait for him to lower his guard. It is speculated that the Pilgrim Butterflies are something that the Pilgrims of Londor, such as Yoel, can become. It is possible to cancel his phase change (so that he spends the whole fight without using his unique 2 handed stance moves) if you manage to stagger him during his phase change animation (where he seems to stagger and creates a shockwave as he gets back up). While not extensively tested it is certainly possible if three characters savagely beat on him in unison with weapon arts as soon as he begins the transition into phase two. 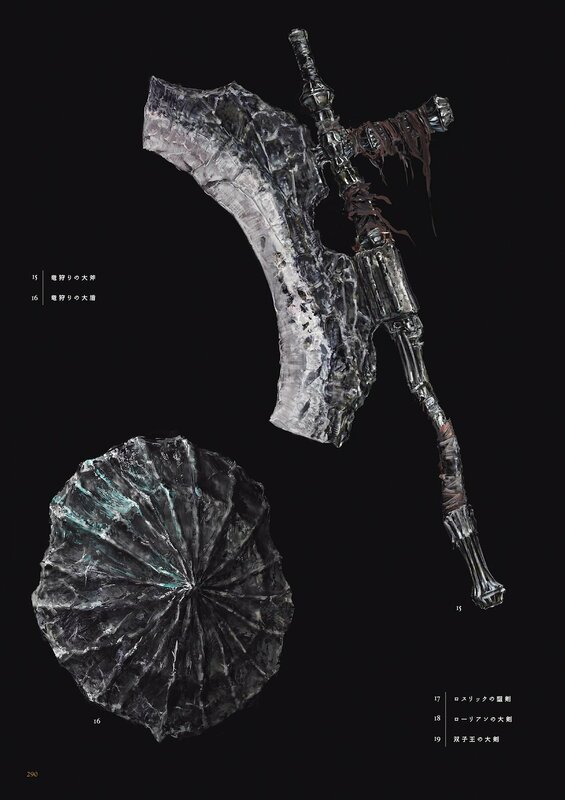 The Charge weapon art from the Pike and the Astora Greatsword seem particularly effective. The Pilgrim Butterflies will still fire upon you if you manage this. 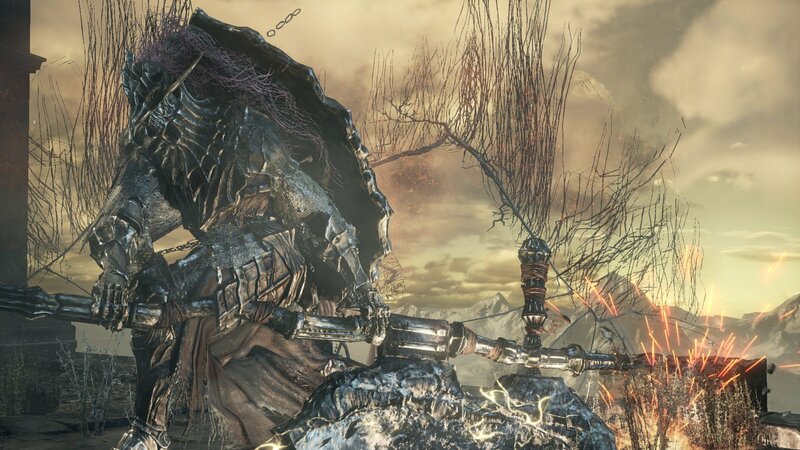 It is not known if the soul you are given after the fight with Dragonslayer Armour is that of the Pilgrim Butterflies or not. Pilgrim Butterfly&apos;s strongest attack is on my CPU. These things absolutely destroy my framerate.